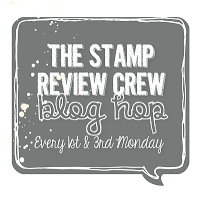 Hello and welcome to the Stamp Review Crew, Blog Hop! We hop every 1st and 3rd Monday of the month, featuring a different stamp set each time. This week's featured stamp set is Watercolur Wings. I'm the first stop on the hop, so Welcome! Start here and hop on through, following the stamp review crew's buttons. 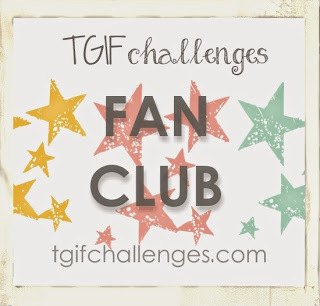 If you're already hopping, then you just came from the talented Nikki Spencer's blog. The Watercolour Wings stamp set is artistically beautiful! 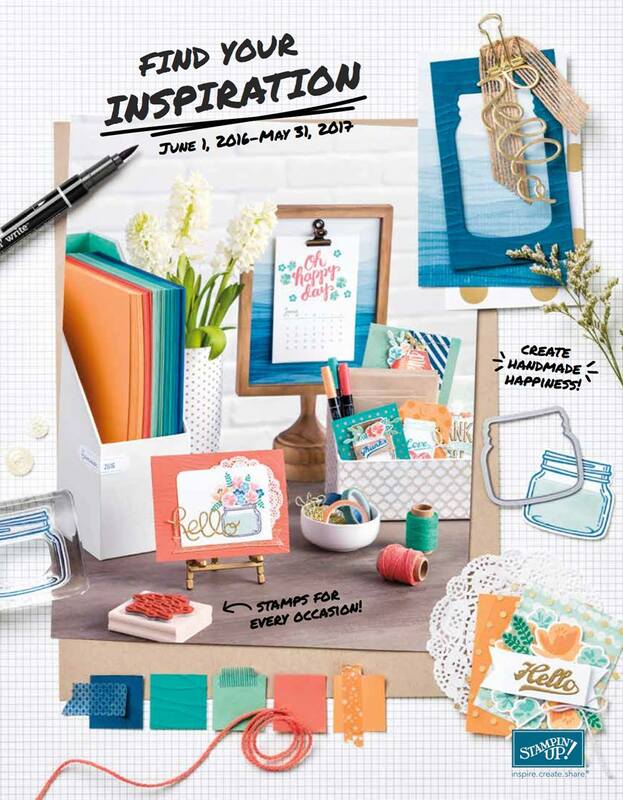 You don't feel like your just stamping, you feel like you're Creating! It has many designs that you can layer together to create your own unique butterfly. Another fun tidbit… It's a bundle! Yep, it has coordinating framelits, that not only go with the stamp set but with the Butterflies Thinlits too! So, you know that made it a must have for me!!! 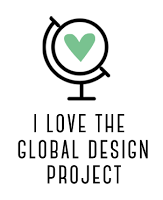 Today's project started out as a card, and it still is… But as I was creating it, my friend said it should be in a frame and I agreed. So, I kept my card sentiment free with the plans to frame it. Unfortunately, I just haven't got around to doing it yet. My colour combo is Blackberry Bliss, Watermelon Wonder and Smokey Slate. Yep it sounds weird and I would never have thought to put them together, but that's what popped out at me, as I was picking through the scraps on my desk. 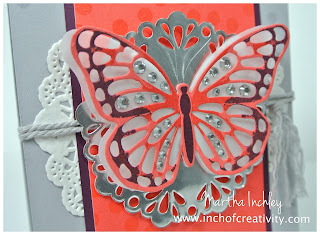 For my butterfly, I stamped the butterfly "details stamp" in Watermelon Wonder ink onto Watermelon Wonder cardstock. I then stamped the Butterfly "outline stamp" in Blackberry Bliss . I did not use the butterfly "base stamp". Hopefully that makes sense... I think it will, once you look at the stamp set. I then die cut my butterfly out with the Butterflies thinlet. Love this look. I wanted my butterfly to sparkle so I added a vellum butterfly behind it and stuck rhinestones through the holes of the first butterfly. So here's a question for you… When designing butterflies, should they always have antennas or is it acceptable to leave them without? Once I determined that I wanted to mount my butterfly on a silver foiled doily, I realized that I'd either have to cut out those teeny tiny antennas or stamp them in black Stazon ink… Neither sounded appealing… So I took my silver metallic thread and created some. I think it works. To give my design a whimsical look, I mounted it onto Watermelon Wonder irresistible DSP. It has a fun polka-dot pattern that is glossy embossed on it. I then stamped the polka dots from the stamp set: Perpetual Birthday Calendar in versamark onto the smokey slate. Well, thank you for hopping in, i hope you enjoyed today's creation. Next up is the talented Mike Funke. Enjoy the rest of the hop! I debate about the antennas all the time, lol. Glad it isn't just me! This is so lovely and your use of the silver thread is brilliant. As are the rhinestones in the background! Stunning, Martha! I'm glad you're going to frame this one! I love your color palette and the rhinestones are a super cute touch! I love everything about this card Martha. The colours are just amazing and those little antennae - perfect idea. Love, Love, Love! 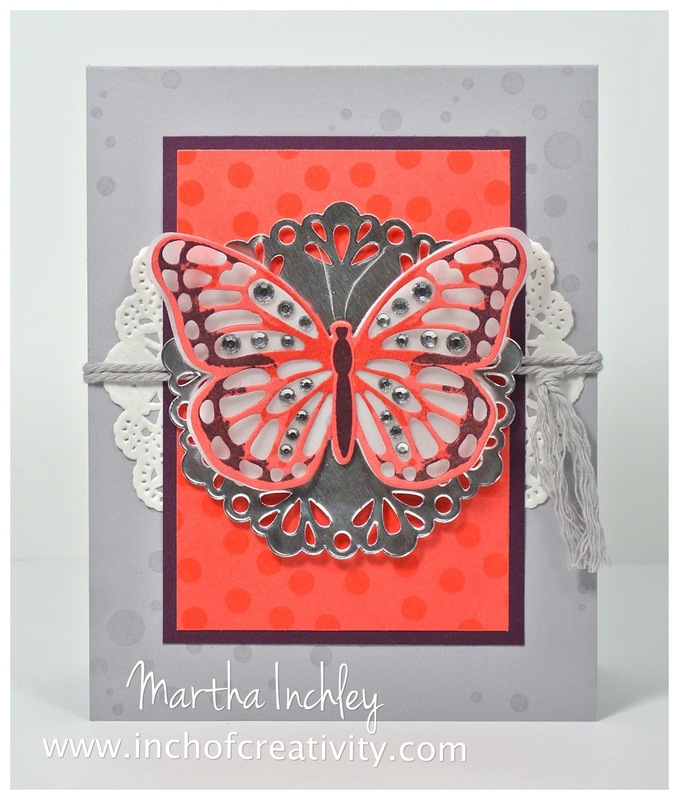 Such a gorgeous use of colour Martha and the layered details are really lovely...A beautiful card! Absolutely gorgeous, Martha! The rhinestones are the perfect touch!!! Martha, I love how you've used all the layers. It's a very symmetrical card but so unique in its composition. And the silver sure makes it pop! Wow! How awesome is that colour scheme. Love the vibrant mix of silver and paper doilies with the bright background. What an unexpected and delightful color combo-- beautiful! Beautiful! 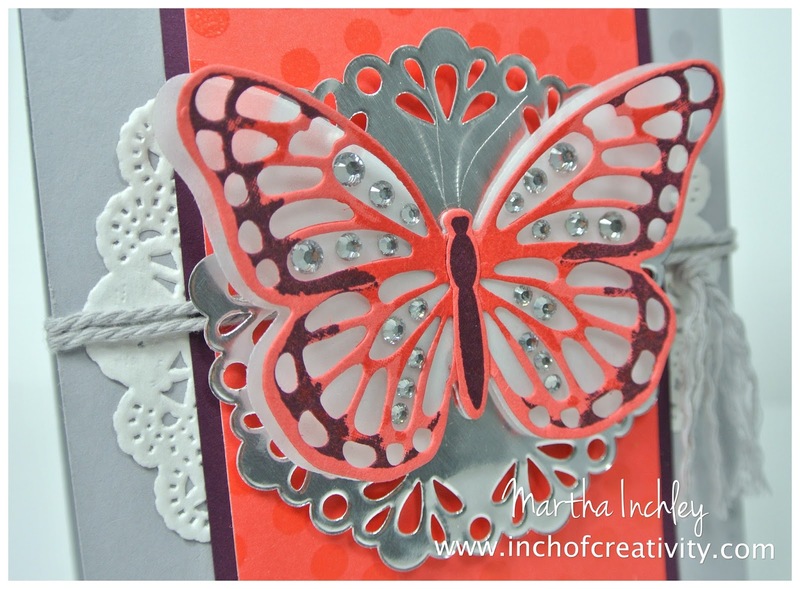 Love how you added outline color to your butterfly die-cut! That is a beauty - whether framed or a card! I really like the color combination and all of the silver details.